The 6th and 7th grade Opportunities class has been exploring ways to use their creativity and talents to help others. They began by taking a trip to the Springfield Victory Mission to see firsthand how that organization identifies needs in the community and then brainstorms ways to help fill those needs. Upon returning to Clever, the class discussed ways that they could help others. They decided as a class to plan an activity night. 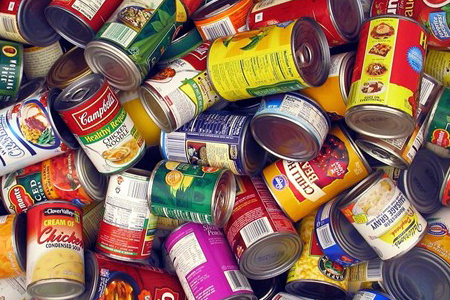 To enter the activity night, they had to donate $5 or 10 cans of food to Victory Mission. On Feb 24, fourteen students came to school from 6 pm to midnight for snacks and games. They also collected 48 cans of food and $35 to donate to Victory Mission. The students were able to see how to put their creativity to use to help others and had fun for a good cause.